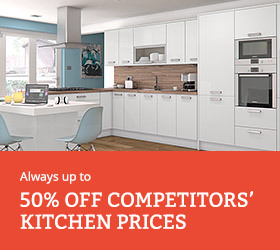 Keeping your kitchen tidy is not easy as the kitchen is often one of the busiest rooms in the home. With many being used as the social hub of the house, it can become a challenge to keep these areas continuously neat and tidy. Add in to the mix the numerous advancements in technological appliances, alongside crucial kitchen essentials, and the task of keeping a kitchen looking clutter free has never been harder. 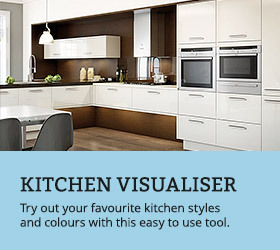 There are, however, several effective ways that can ensure any kitchen is kept neat, tidy and clutter free and all by simply spending a little time on effective planning. The success lies in finding an efficient storage solution and practical place for every item that resides in the room. Once this has been found, keeping the kitchen organised and well-presented will then become so much easier to achieve on a regular basis. Example base unit storage solutions. Worktops usually pose the biggest test in keeping your kitchen clutter free; so being able to manage them is crucial to the overall presentation of a kitchen. 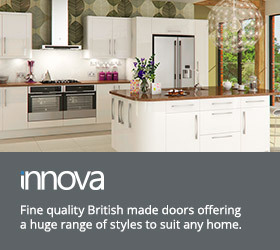 Often, the problem is having too many appliances on show. With so many electrical appliances appearing on the market every few months, it can be tempting to purchase such items in the hope of making life in the kitchen easier. The first question to ask though is how often will each item be used? Too many items make a kitchen look overcrowded, whilst making it difficult to clean effectively as such devices ultimately conceal a multitude of dust and crumbs. Clutter free surfaces instantly make a kitchen appear neater and are easier to wipe clean. Such neat worktops can be achieved even in the smallest of kitchens by simply deciding which appliances are used regularly and therefore need to be on display, for example kettles and coffee makers. Attention can then be turned to those items used less often, for example food processors and fryers, which can be put away out of sight. If there is available cupboard space, it could be used as the appliance cupboard that houses any appliances that aren’t used regularly but still accessible. This is an instant solution to making worktops appear less cluttered and immediately creates a sense of space. Shelving can provide a quick and easy storage solution to almost any kitchen. Available to buy in a huge variety of shapes and sizes, it is also the most easily adapted of products to suit your personal preferences; perfect for kitchens that do not have standard measurements or requirements. Shelves can store almost any kitchen item, and there it is possible to decorate them to match or compliment the current kitchen interior to make the room visually pleasing. 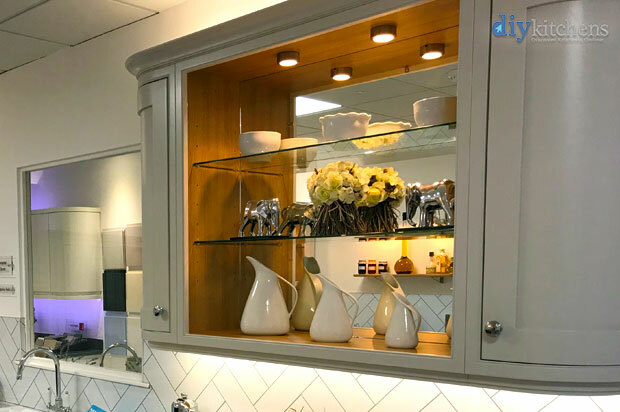 If room allows, a whole wall dedicated to shelves or a wall unit can not only relive the pressure from having to find room in cupboards and around the worktops, but can also make a wonderful centrepiece in the kitchen. Furthermore, all shelving can double up to hold additional items such as cups, towels and aprons by attaching hooks or adhesive tabs underneath them. 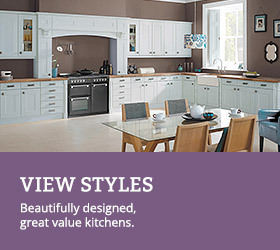 Most kitchens have limited cupboard space, which often makes it a struggle to store many kitchen items out of sight. 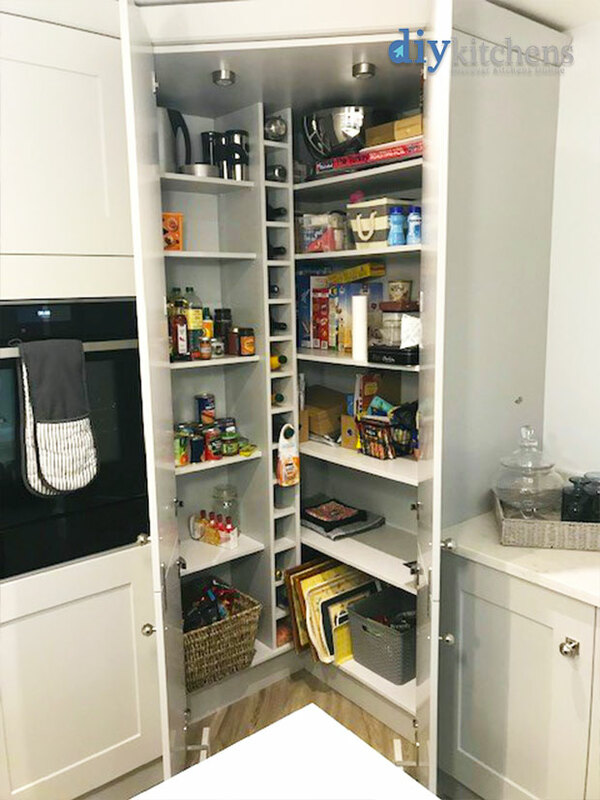 There are plenty of devices that provide a practical solution to overcrowded cupboards, whilst instantly revealing possible extra hidden space. Such items can be purchased, and indeed home-made, to maximise cupboard space, keeping the work tops and shelves clutter free. Inserts and dividers can keep cutlery tidy and kitchen utensils organised, whilst specially designed racks can act as shelve extenders and offer an extra layer to cupboards; perfect for storing plates, cups and bowls of varying sizes. Undeniably, some of the most problematic kitchen items to store are saucepans and their lids. Both not only take up a great amount of space but are also awkward. If there is adequate ceiling space, a racking solution hung from the ceiling provides immediate relief for pots and pans, whilst making a wonderful decorative piece in the kitchen. For kitchens where ceiling space is limited, such racks aren’t practical solutions but there are other practical alternatives such as a compact dish drainer rack inside of a cupboard or fixing this to the inside of a door and even attaching it to a wall. 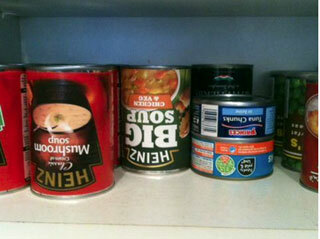 Hooks and adhesive tabs can also be used to hang both pans and lids under the bottom of existing shelves. 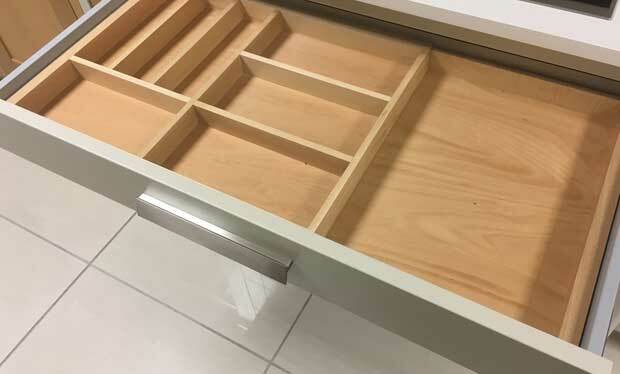 If you want an even easier option then we have a selection of wide pan drawers available to give plenty of space for those space sucking items. The space at the top of many kitchen cupboards is often one of the most overlooked solutions for effective storage. Whilst much of this area can be difficult to reach in terms of its height, by purchasing or making a set of simple fold-up steps, this once awkward area can be reached easily and the steps stored tidily away when not in use. Making use of such space can allow for the storage of several boxes, baskets and crates to store a wealth of kitchen items as well as creatively using this often-wasted space. Dirty dishes piled up on kitchen worktops, and around the kitchen, are usually the main culprits in ensuring a kitchen remains messy and cluttered. By getting into the habit of loading the dishwasher as meals are prepared, surfaces can be constantly maintained, thus making them easier to clean afterwards. Similarly, when hand washing, filling up the sink and cleaning dirty dishes as soon as possible can also encourage a neater kitchen environment. When all dishes are cleaned and dried, getting into the habit of putting everything back into its designated space straight away, is great practice towards keeping the kitchen regularly neat and tidy. Check out some more kitchen storage ideas on Pinterest below.